Sit back, relax, and enjoy the melodic sounds of Maestro Lydia Grace on the pianoforte. Hey...everyone has to start somewhere. How Sweet!! She is too cute. 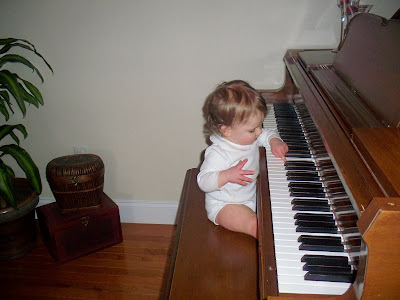 Looks like you've taught her to be at least a little gentle with the piano! 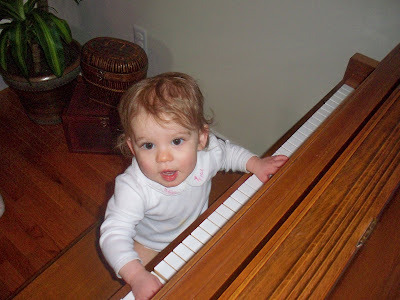 haha We no longer have a piano so I dont know if Ella Rose has ever played one yet!